Daddy Freeze Fires Back At Pastor Kumuyi, Says He’s Wrong For Saying Its An Abomination For Women To Wear Trousers! The subject of what is right and what is wrong in the eyes of men and what is permissible before God continues to be a subject of huge debate between individuals with many looking up to the anointed men of God to show the way. 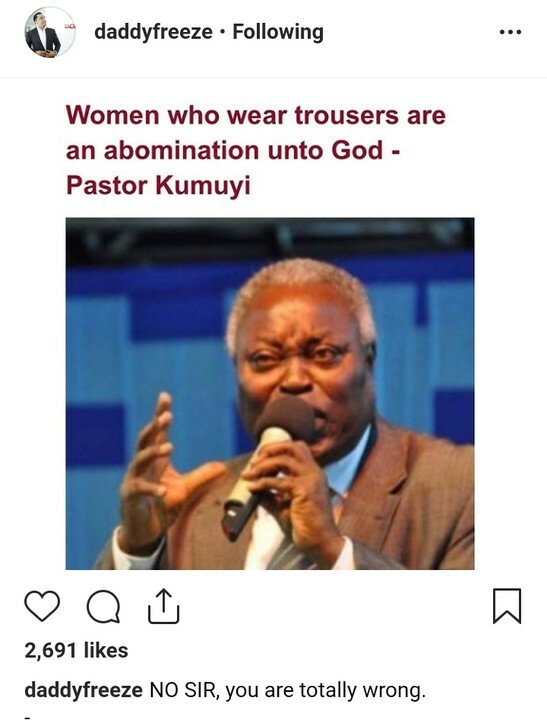 Radio presenter and controversial founder of Free Nation movement, Daddy Freeze has taken a swipe at the General Superintendent of the Deeper Christian Life Ministry, Pastor William Kumuyi for his comments on the issue of women wearing trousers. Pastor Kumuyi had in his Sunday’s message said that it was an abomination unto God for women to put on men’s wears. Kumuyi who preached on the topic: “The Inner and Outward Beauty of Kingdom Citizens,” at the Sunday worship service of the church in Gbagada area of Lagos, Southwest Nigeria, said the Bible specifically warned that men should not put on women’s wear neither should women put on men’s wears. He noted that the standard of God would never change even if the world would change, emphasizing that God frowned at any woman wearing men’s wears or men putting on women’s wears. The issue of women putting on trousers continues to generate controversy interestingly even within the church itself as today it seems a lot of mixed multitude are now present in the church. 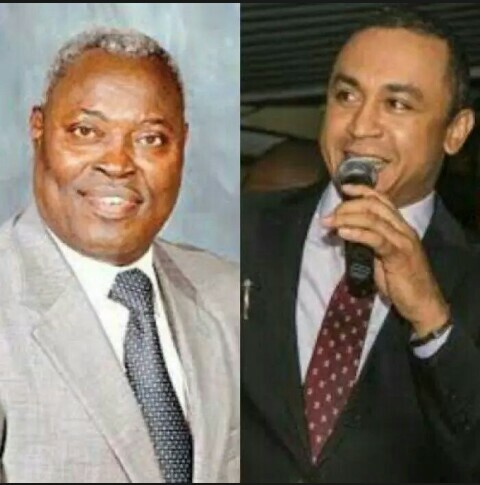 In his reaction, Daddy Freeze said Kumuyi was totally wrong on this and went on to explain his views on the matter on his Youtube account. He said “when you go to top shops, there is always female and male shorts, there are male and female trousers, this theory is flawed.